Home Africa Do you really need T4A? T4A ‘specialises’ in off-the-beaten-track routes that are derived from the track logs of actual travellers. You can trust the data as the maps are regularly updated with verified tracks. You do not need a data connection to use these T4A maps. You can download the maps on your PC/MAC for trip planning. I rely 100% on T4A for my trips into Namibia, Botswana, etc. I have been using T4A for the past ten years and will continue to use it for all my overlanding. We travelled Botswana in a group and if it wasn’t for the one guy who had T4A on his GPS, we would have been totally lost! My buddy said I must get T4A before our trip to Zambia. 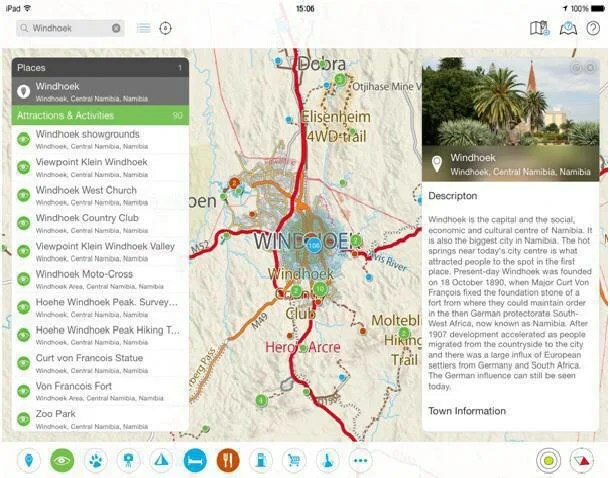 Tracks4Africa mainly derive their data from travellers like you. You can read about how the T4A maps are built, why you can trust their tracks and travel times and also how T4A was founded. For people who still prefer hard copy, they offer paper maps(South Africa, Namibia and Botswana) and guide books(Botswana and Namibia). 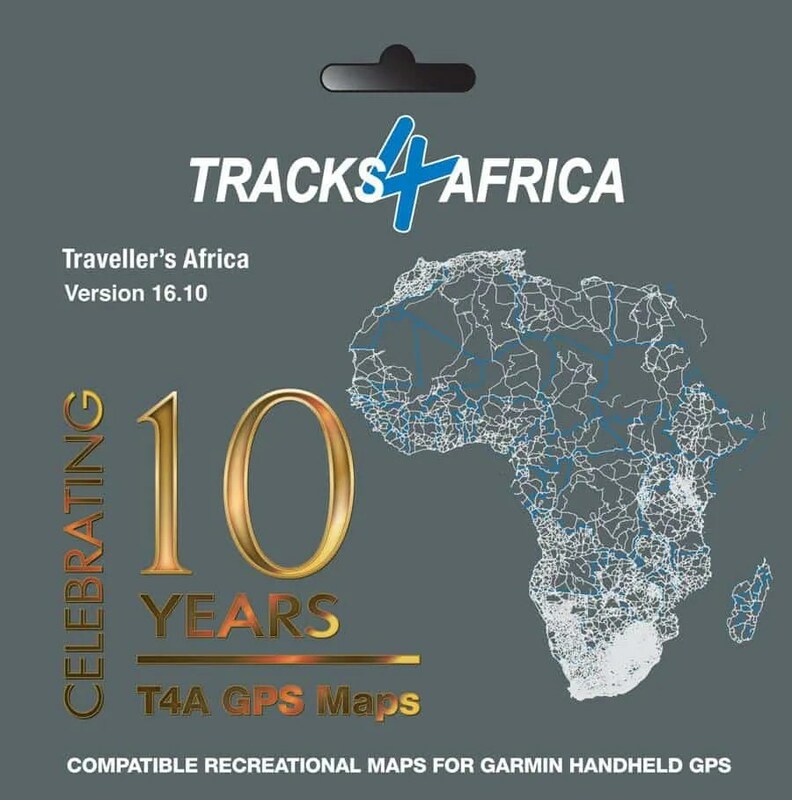 Their electronic maps are available for Garmin GPS’s on SD card (called T4A Traveller’s Africa) or for Android or Applesmartphones or tablets (called the T4A Navigator). Their rich content of Points of Interest is available in paper format in the guide books, or electronically as a guide app for Android or Apple devices. The GPS map called Traveller’s Africa. 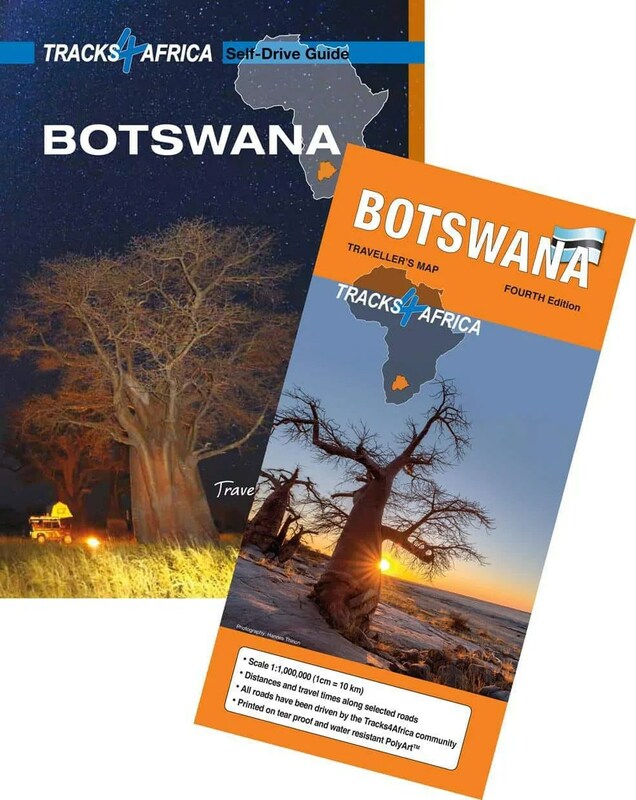 The paper map and guide book for Botswana. The T4A Guide app provides important travel information. In a nutshell T4A offers reliable off-the-beaten track navigation and reliable travel times; we all know that road conditions in rural Africa seldom allows for speedy travel and T4A derives their predicted travel times from actual traveller experiences. They also know what information is important to overlanders; like where you can sleep, eat, shop, fuel-up, get emergency services, or what places of interest there are around you. Do you need it all? The next question is which of these products you need? Do you really need the maps on your GPS, on paper AND on your phone? And what about the guide information; do you need it in book form and electronically? Truth is that your electronic device can fail; your battery can run out, it can loose satellite signal or it can simply pack up. Then you will be very happy that you have copies of the paper maps! 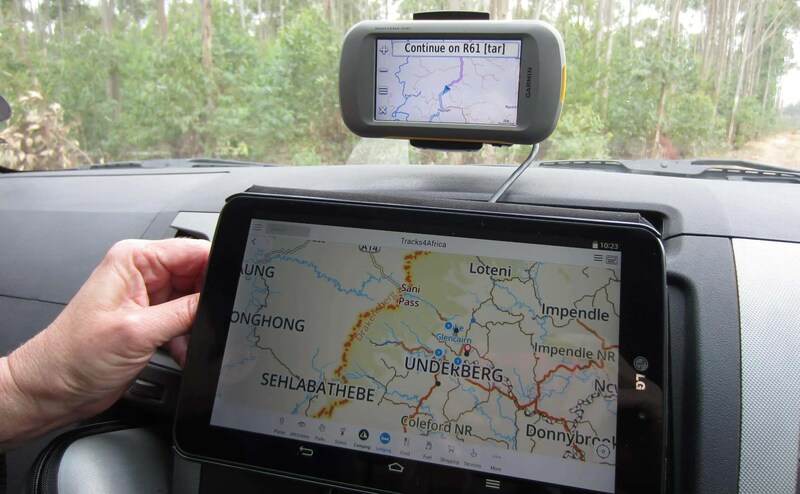 As far as electronic devices go, I have found that the T4A map on my GPS and the guide app on my tablet make perfect travel companions; if I use both simultaneously I don’t have to interrupt our routing when I want to search for accommodation, shops or whatever travel info I need. The GPS map and the Guide app are perfect travel companions. How regularly do you need to update your map? The T4A GPS map is updated twice a year, in May and October. Once you have bought it, you’ll get the next upgrade free and from then for half price. The growth of the map is organic in nature; therefore you don’t need every single update. However, you will be wise to get your update shortly before an overland trip if the latest version that you have is older than a year. Thousands of travelers have found that it is simply best to travel Africa informed!